The American Dad! 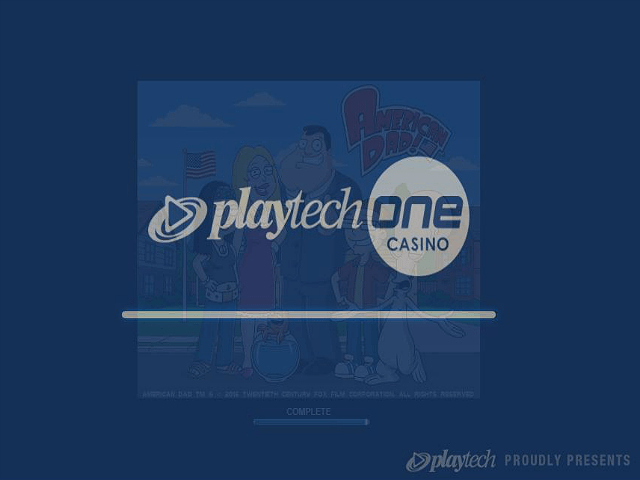 slot game, developed in 2017 and powered by Playtech, is a five-reel, 40 payline online slot based on the hit animated sitcom of the same name. 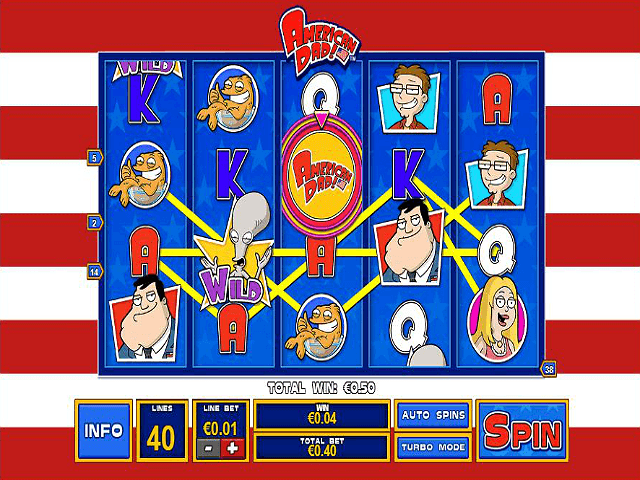 The powerhouse slot developer Playtech adapted this hit cartoon show into an online slot, bringing with it the show’s manic humour and cast of crazy characters, including an overworked CIA operative, his eccentric family, and his alien lodger, Roger. Check out the rest of this ultimate American Dad! slot review to see if it reaches the cult status of the show and intrigues you to start spinning today! Play American Dad! for Real Money! 100% Welcome Bonus up to £100 + 200 Extra Spins! Slots Heaven opened its pearly gates in 2013 and has been serving our earthly gaming desires ever since. Despite what the name might suggest, you’ll find everything from blackjack and roulette to live dealer games inside Slots Heaven! Up to £1500 Welcome Bonus! Owned by industry giant 888, this retro looking online casino is loaded with some of the best slot and table games! Perhaps it's the incredible welcome bonus that really makes this casino worth checking out! 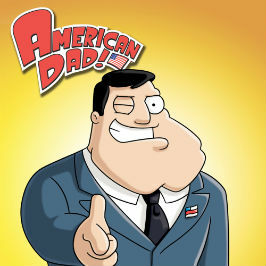 After the runaway success of Family Guy (including its own dedicated slot game), actor and comedian Seth MacFarlane didn't stray too far for his follow-up American Dad!, which again pushes the boundaries of comedy while exploring American culture. 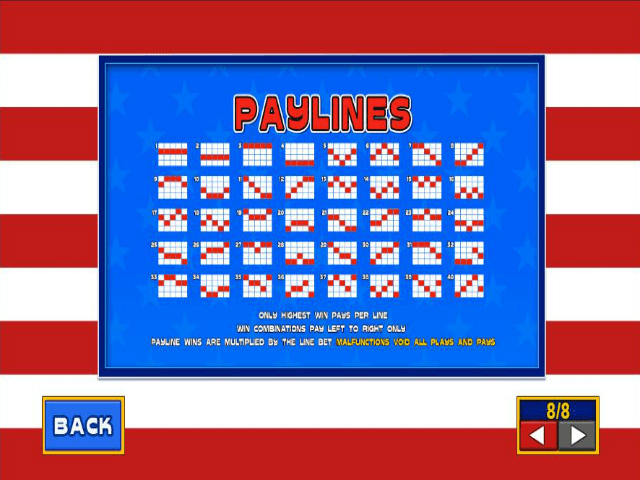 The slot screams USA, with a garish backdrop of the Stars and Stripes perfectly encapsulating some of the show's main themes. American Dad! developer Playtech perfectly adapts the material with all the bombast it deserves, from the quirky and delightful theme music, to the main character Stan doing ballet in his tidy whities, with smooth animation that makes you believe you're watching a surreal episode of the actual TV show. All of Stan’s family members appear as symbols, dancing, prancing, and vomiting all over the reels when you activate their individual bonus rounds, with big wins to be earned here, and a return-to-player of 96.1%! For a TV show based on surprise and alt-comedy, the American Dad! online slot fills out the icons with normal card symbols such as Q, K, and A. These feature alongside the Smith family members Steve, Hayley, pet man-in-a-fish-body Klaus, Francine, and the head of the clan Stan. He's the highest value of the family, offering 250x your bet if you manage to get him five times across a payline. One of the bonus rounds is the amazingly named Schmooblydong Bonus Wheel. If you manage to make it appear on both reel one and reel three, you get another spin to try to win the jackpot. If during the respin you manage to get the third Schmooblydong Bonus Wheel on reel five, you enter the Free Games feature. The wheel will spin on each reel, and the number you land determines how many free spins you're granted, but it also affects how many wilds there are in the various bonus rounds. Hitting different characters will trigger their own personal bonus round events. The Stacking Stan bonus will add stacked versions of Stan on every reel there's an existing Stan icon. If you get Francine, you play her Holy Grail game, where you try to reunite her with Klaus. Doing so will turn Francine into an expanding wild symbol. Daughter Hayley has a progressive multiplier feature, with the Schmooblydong Bonus Wheel on reel three granting you up to 10x multiplier. However, the bonus symbol to aim for is Roger the Alien, who appears as the wild symbol. He staggers in from a night out, and proceeds to blow chunks all over the reels, which turn into random wilds. Again, the number struck on the reel three Schmooblydong Bonus Wheel will decide how many you get per free spin. 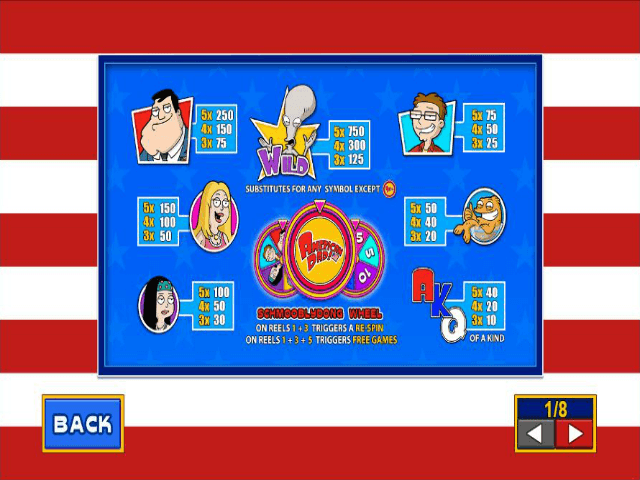 With so many bonus rounds and features, you'll never be bored playing the American Dad! online slot game! Share this American Dad! Review today! If you like American Dad!, you'll love these slot titles too!